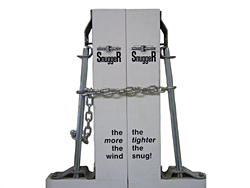 NOTE: As of now, we only keep 9" Bolt Trolleys in stock. 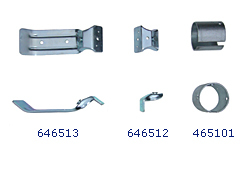 However, we can drop-ship most other hardware within 2-3 business days or provide the source where you can purchase it. Hardware: Requires 5/16" Carriage bolts to attach plates to door (not provided). 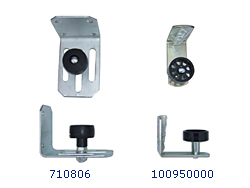 Use: Bolt Trolleys are mostly used for metal doors & steel-skin doors on pole barns. 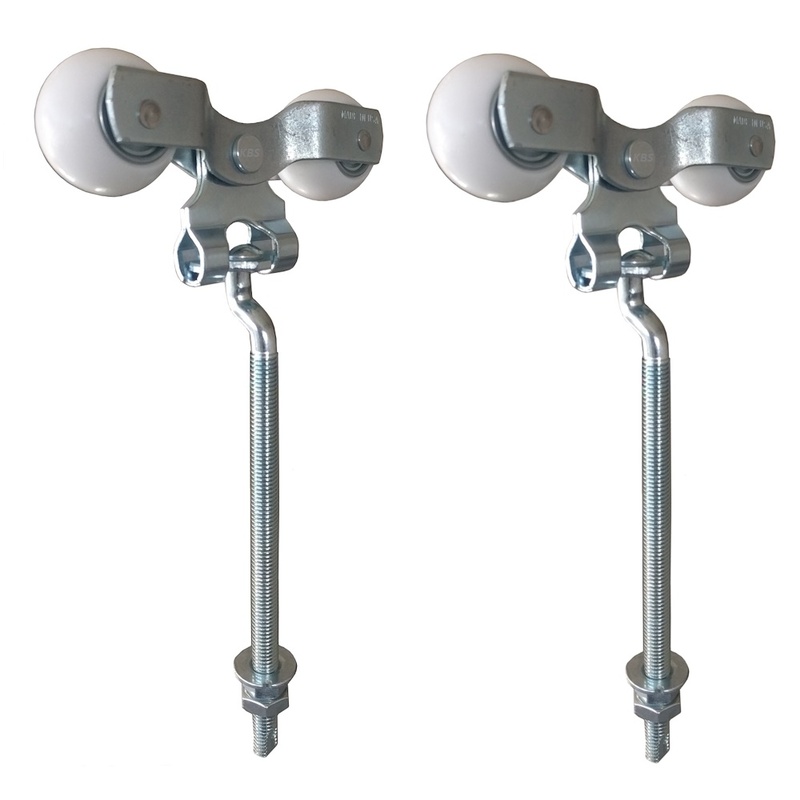 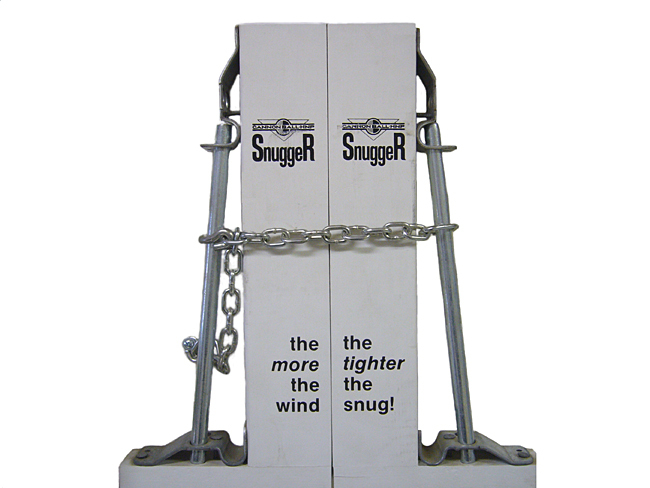 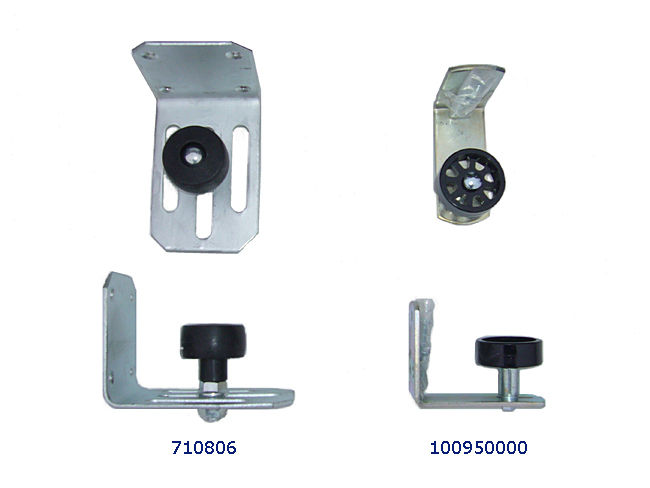 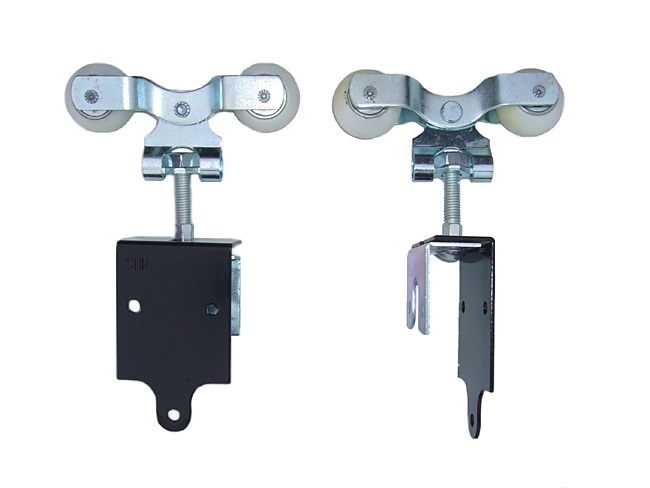 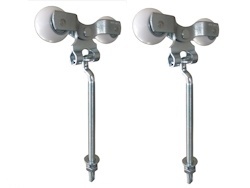 Use: Track Cover Brackets are used when installing metal track cover (flashing) over round door track. 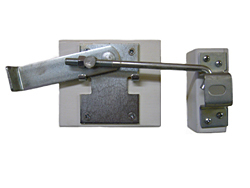 Use: Small door stop is used for doors up to 2.25" thick. 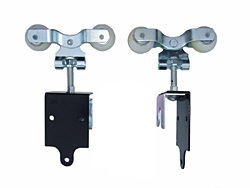 Adjustable door stops are used for doors up to 3.5" thick. 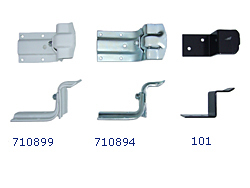 Please call (717) 666-7027 if you have any question about our Sliding Door Hardware. 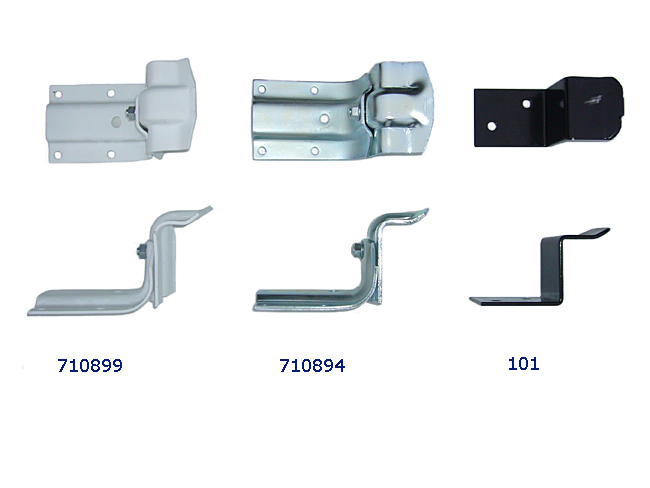 No insallation instructions are provided with any of our sliding barn door hardware.